The Center was established as a resource to public schools in the area to provide consulting services and develop or improve economic education in the schools. The original co-directors of the Center were Dr. William Morrow, professor of economics, and Leonard Widener, assistant professor of education. The Center is still an important resource to local public school students and teachers, working to equip teachers to instill responsibility as consumers, savers, investors, citizens, workforce members, and global economic participants, to their students. The Center is part of the Coalition for Financial Literacy in the Commonwealth (CFLC), which is a network of economic and entrepreneurship education providers that are affiliated with the Council for Economic Education (CEE), a nationwide network that leads in promoting economic literacy with students and their teachers. The Center for Economic Education is located in the Business and Technology Center, room 044. 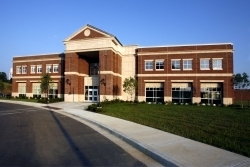 For more information on the Center, visit econed.eku.edu.